Autism Author & Webkinz Fan! To wrap up Autism Awareness month, I wanted to make everyone aware of a book about Autism written by someone we all know here on Gymbo’s Webkinz Blog! 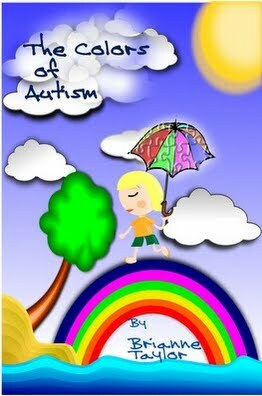 This book The Colors of Autism by Brianne Taylor is now available for purchase on Amazon.com & applehillpublishing.com. Autism does not last only during the month of April. Autism is a challenge to many people and families every day. Be kind and be a friend to everyone with Autism every day! Remember Flowiing’s Week Long Contest for the eStore Lil Blue Lamb! Any comments this week can qualify. And remember to login to your Asian Webkinz Accounts right away for Webkinz Day! Random Contest Of Favorite Things! Anyway, I have been wanting to throw you guys a contest…. so I am! I could not think of what to throw one about, so I did our favorite things!! I want to know your guys’ favorite things! You must start each comment with one of your favorite things. For example; Twilight, Books, Selena Gomez, iCarly…. anything you like! You must start each comment with a new favorite thing. Once you have gone through all of your favorite things may you start repeating things. Just as this contest is random, so are the prizes! There are all kinds of prizes! I will randomly award them, but if the comment chosen has the same favorite item as another person’s comment, they will also receive a prize! You will be surprised what we will have in common! Those who do not win a prize, will receive a small random one, so no one is left out! It will end Wednesday at 9:00. All winners will have been chosen by then.